This was supposed to be my last day at home before flying back to college this afternoon, but my flight back to Chicago got canceled party because of the snowstorm moving through the area, and partly because of record cold, bone-chilling temperatures. It’s so bad that the governor of Minnesota gave the entire state a snowday on Monday because it’s simply too cold to go outside. 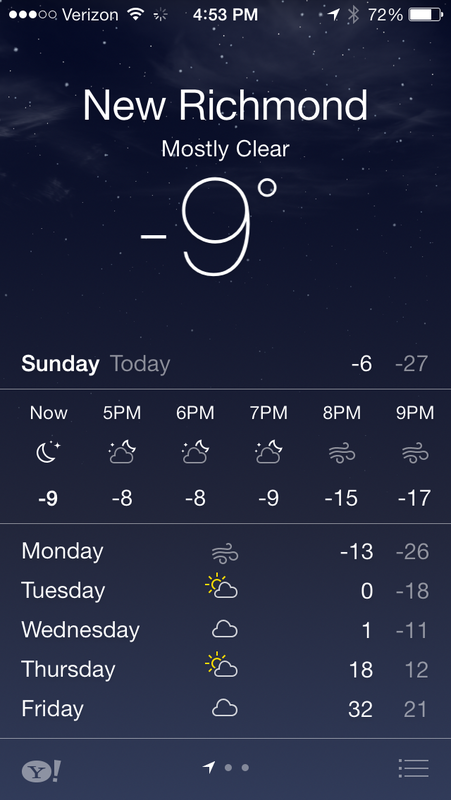 Proof in the form of an iPhone forecast? With temperatures this dangerously cold, it’s important to brace yourself for the outdoors if you have to venture out like I will. While I know you’ll definitely remember the winter coat, warm hat, thick mittens and fur-lined Uggs, there’s more to warmth than clothing. 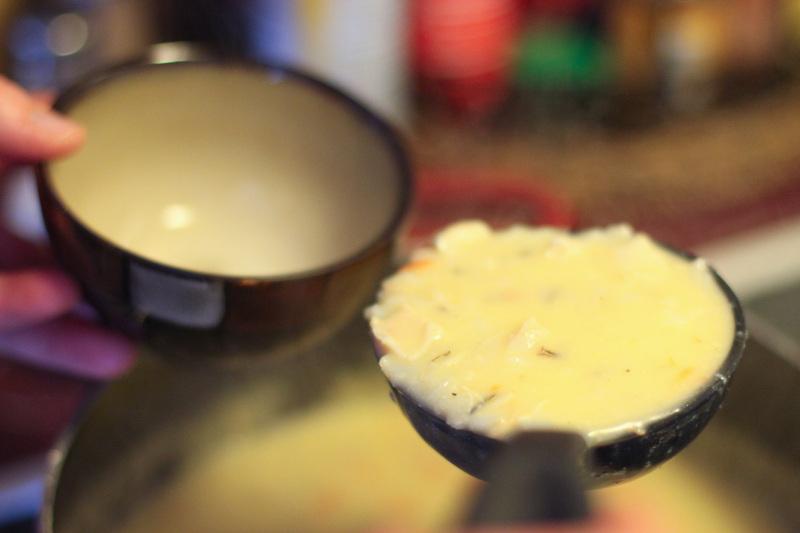 That’s why you should make some steamy chicken wild rice soup! I’m quite the wild rice soup connoisseur, having grown up near Minnesota, where wild rice soup is a religion, so I can be a bit judgmental when it comes to my favorite soup. It has to be creamy, thick and flavorful, and if you ask me, this easy recipe covers all those bases. Too bad a thermos of this stuff for tomorrow would probably violate the whole 3-ounces-of-liquid thing they’ve got going in airports. 1. 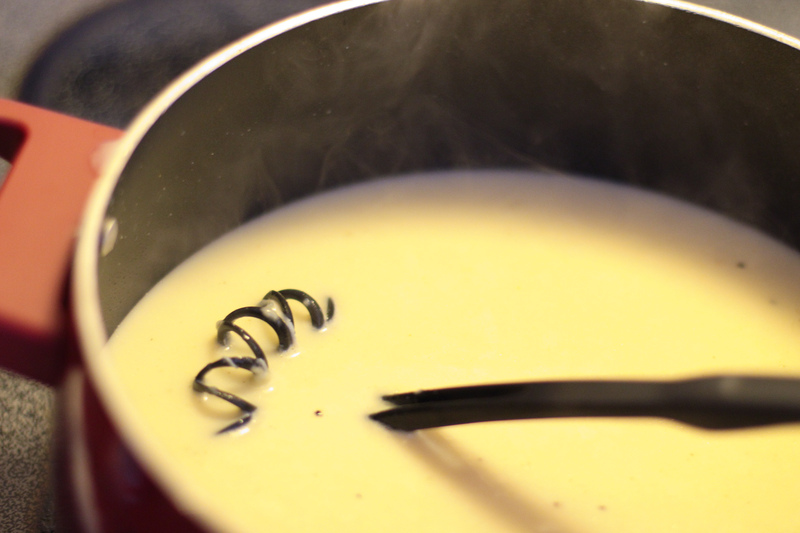 Combine chicken broth, cream of chicken soup, milk, garlic powder, pepper and salt in a medium saucepan. Bring to a boil, then reduce heat to a simmer. 2. Open the box of rice, toss the seasoning packet, and cook according to package directions with as much water as the directions specify. 3. 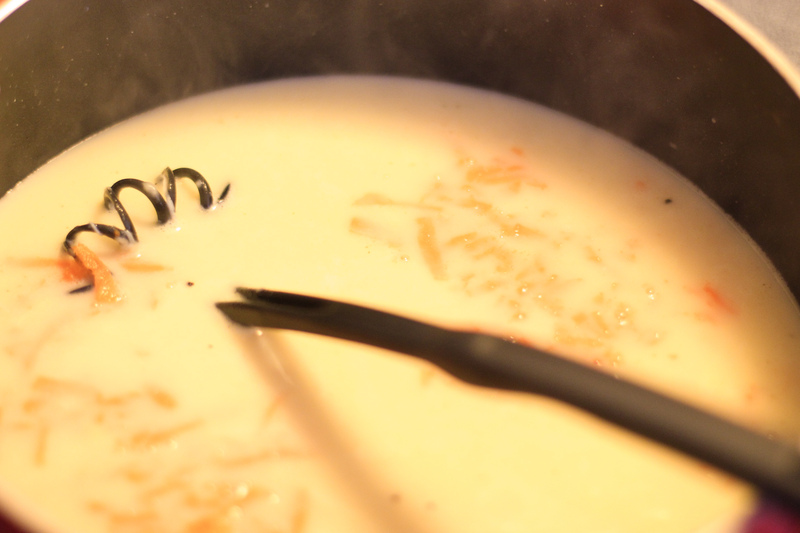 Add shredded carrot and any necessary amount of a cornstarch-water mixture to thicken the soup. Simmer for 15 minutes. 4. Add rice when it is done cooking, as well as the cooked chicken, and simmer for a few more minutes before serving. This entry was posted in Recipes, soup and tagged carrots, chicken, chicken wild rice soup, food, foods, recipe, recipes, soup, wild rice, wild rice soup. Bookmark the permalink. This looks really amazing. I can’t wait to try out this recipe.